a few weeks ago i had the opportunity to visit my sister in Arizona and say farewell to my nephew who is serving a religious mission for two years. words can't express how proud i am of his commitment and dedication to service and his religion. to say i love my nieces and nephews is an understatement. my own children mean everything to me and my nieces and nephews fall under that umbrella. while visiting there my niece braided my hair for me and i am now obsessed with the braid. 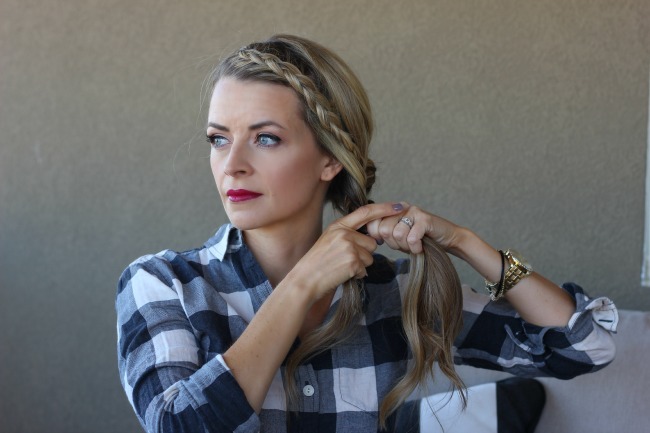 it is the perfect side braid as it is cute, loose and casual but doesn't fall out after 20 minutes. it holds your hair ALL day and the number of compliments i receive when wearing it made me realize, TIME FOR A TUTORIAL! 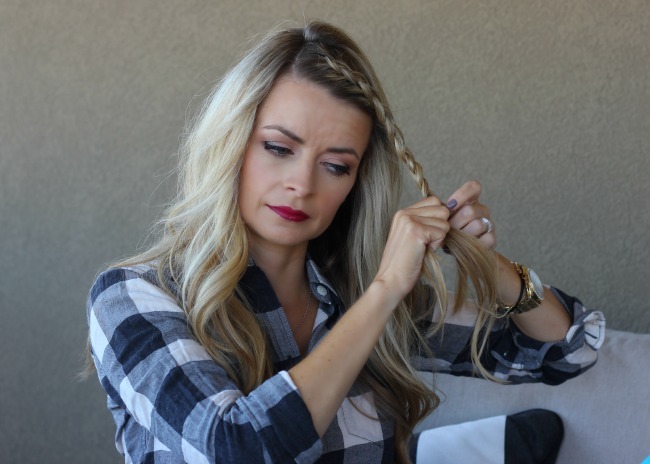 for this side braid tutorial you will need a brush, hairspray and some small bands. 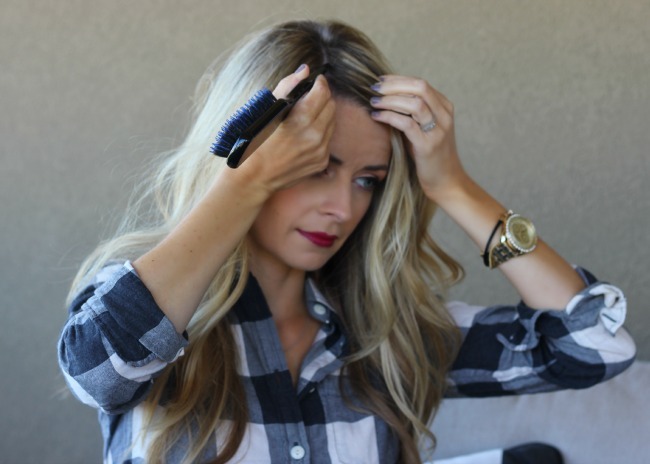 these small bands are essential as you don't want a bulky ponytail band messing up your braid vibe. 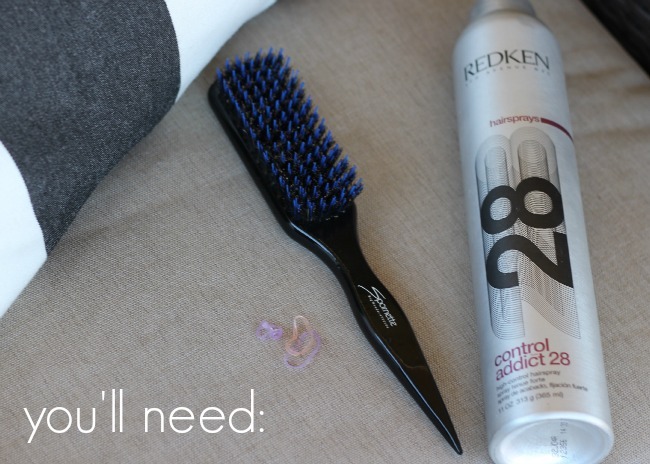 you'll begin with any type of hair - straightened, curled, washed, dirty - this braid works with anything. 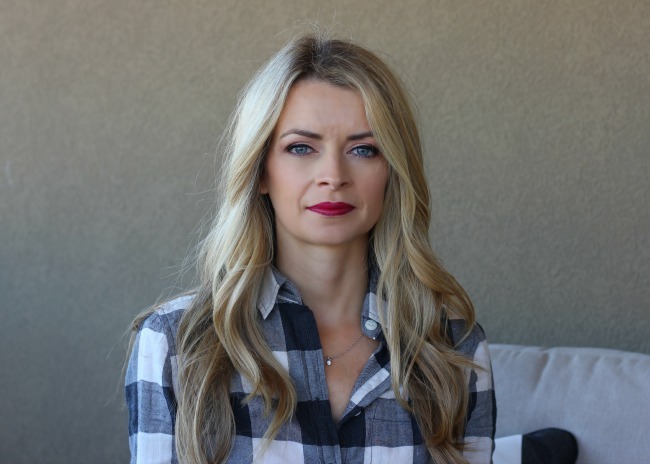 create a deep side part and dutch braid your bangs across your forehead and finish the braid to the end, tied off with a small band. with the remaining hair do a quick french braid down the side. by quick i mean take large chunks of hair, rather than small strands, to create your braid. this will make the braiding simple and will give nice big chunks for texture. 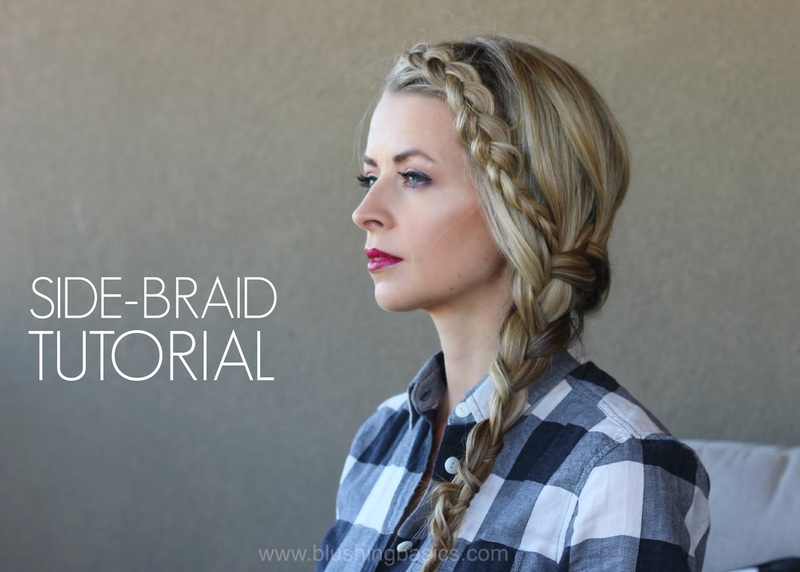 braid across the back and down the side of hair, being sure to grab in the first dutch braid. take a moment to pull apart the sides of the braids. this will make your braid look thicker, fuller and lay better. 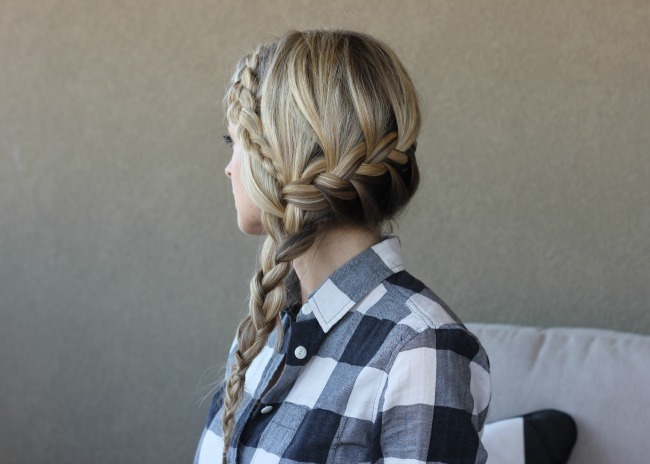 do this with both the dutch braid and the french braid to give the braid a loose, casual vibe. i created a pinterest friendly 'pin-able' tutorial below if you are interested in saving. additionally, be sure to check out my Crown Braid Tutorial for the easiest crown braid ever. seriously. i promise.